Since I come from a science background. I thought that this year for World diabetes day I would concentrate on one of the major breakthrough’s in diabetes. The breakthrough which stands out in my mind and is very close to my heart is the discovery of insulin by Dr Frederick Banting and Charles Best. Without this life changing discovery, let’s put it this way I probably wouldn’t be here today. I wanted to show my appreciation and write a post dedicated to these men. 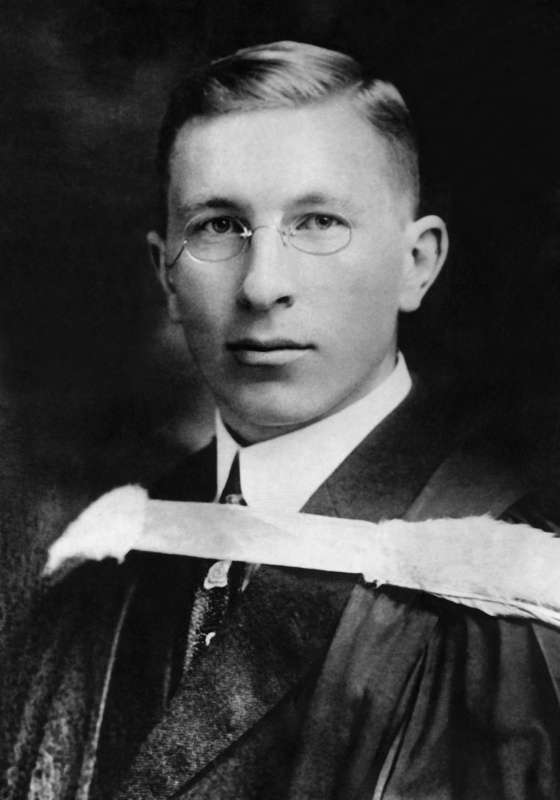 Frederick Banting was a Canadian scientist, born on 14 November (World Diabetes Day) 1891 in Alliston, Ontario. His list of achievements stacks up high. In 1916, he received an M.B degree and was able to join the Canadian Army Medical Corps during World War 1. During the war, besides being wounded badly, he continued to help the sick and injured. When the war ended in 1919 he returned to Canada and was awarded the Military Cross. He also became a medical practitioner for a short time. Until he returned to Toronto to study orthopaedic medicine. 1919-1920, he was resident surgeon at the Hospital for Sick Children, Toronto. He did this whilst continuing his general practice, teaching orthopaedics and anthropology part-time at the University of Western Ontario in London. The Canadian government gave Banting a lifetime annuity to work on his research. Banting married Marion Robertson in 1924; they had one child, William (b. 1928). This marriage ended in a divorce in 1932. He was then knighted by King George the V in 1934 and became Sir Frederick Banting. Banting and Best went on to work at the Banting and Best institute in the University of Toronto. Today this institute is known as the BBDMR. Dr. F Banting went on to work on other aspects of research such as, silicosis, cancer, and the mechanism of drowning and how to counteract it. In 1937 Banting married Henrietta Ball. Dr F Banting reenlisted in the Royal Canadian Air Force during World War II. There he severed as a liaisons officer between England and North America. In 1941, he was involved in an air crash and regrettably he met his demise. I’ll be forever grateful to Banting and Best for their astounding breakthrough. This discovery has helped many people suffering with diabetes and is definitely the biggest breakthrough in my eyes in the diabetes world. Hi there friend! I will try my best to write more posts like this in the future. Thank you so much for stopping by. Thank you for stopping by. I really appreciate your feedback thank you.